WILTSHIRE teenage Riley Ellis has collected his first snooker trophy of the season. 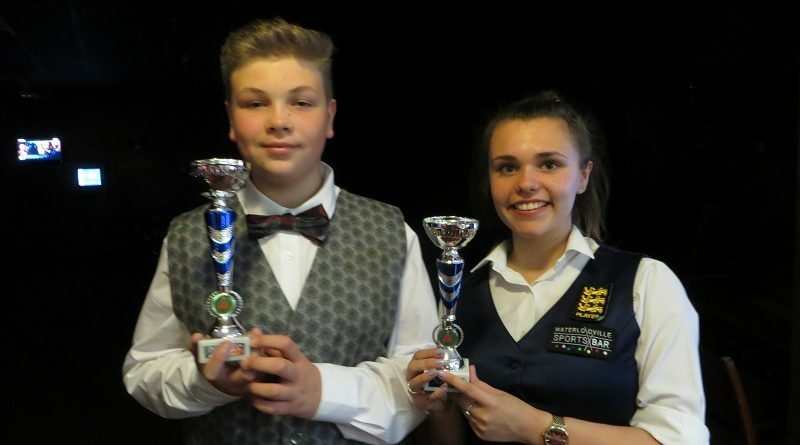 The 14-year-old from Clyffe Pypard won the competition for non-qualifiers during the first legs of the Cuestars Under-21 Gold, Silver and Bronze Tours at Salisbury Snooker Club. Ellis, who is sponsored by Swindon-based Save On Tyres, missed out on a place in the Silver knockout. But, receiving a 14-point handicap start, he beat women’s world number 26 and Gold Tour player Chloe White in the Plate final. The second legs of ten are at Waterlooville Sports Bar on Sunday, October 7. Find out more about loft conversion specialists Attic Life, the event sponsor, at www.atticlife.co.uk. QUARTER-FINALS: James Slade (Crucible, Newbury) beat Thomas McEvoy (Salisbury SC), Riley Ellis (147 SC, Swindon) beat Harry Wyatt (Chandlers Ford SC), Ryan Hughes (Chandlers Ford SC) beat Freddie Turner (Salisbury SC), Chloe White (Waterlooville Sports Bar) beat Callum White (Waterlooville Sports Bar). SEMI-FINALS: Ellis beat Slade, Chloe White beat Hughes. FINAL: Ellis beat Chloe White.